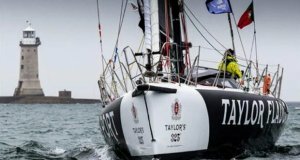 North Sails has unveiled a game-changing addition to the sail wardrobes of the Volvo Ocean Race fleet – the JO gennaker. 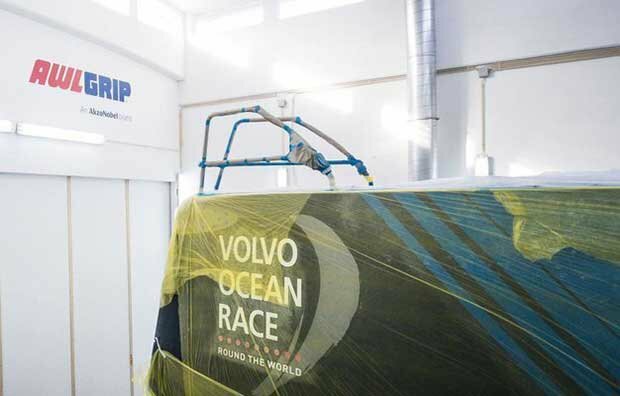 North Sails has been the exclusive official supplier to the Volvo Ocean Race since the debut of the VO65 one design fleet in the 2014-15 edition. Now, after analyzing extensive race data, further modeling and listening to feedback from Volvo Ocean Race sailors, North has created a new 171m² gennaker to fill an apparent gap between the masthead code 0 (MH0) and the J1 jib, boosting the performance of the VO65s in the process. In the most recent edition of the historic race, sailors reported having to constantly switch between the MH0 and the J1, two of the biggest sails carried onboard, in search of the configuration that gave them the best speed. Crucially the introduction of the J0 will eradicate the need to change headsails so frequently – welcome news for the sailors, who expend thousands of calories a day manually hoisting the massive sails. “The most important feedback we got from the last race was that there was a gap between the J1 and the masthead zero,” said North Sails designer Gautier Sergent, a Volvo Ocean Race expert. “Between ten and 15 knots of wind the crews were forever changing sails as they looked for the best configuration. We wanted to provide a solution for this gap, so we introduced a new J0 that fits perfectly between the J1 and the masthead 0. 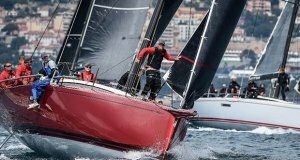 North Sails has spent a lot of time comparing recent race data with historic weather routings, using software developed with Great Circle, to guarantee the J0 strikes the perfect balance among the VO65 fleet’s sail inventory. Targeted for conditions between eight and 15 knots upwind and up range reaching, the bowsprit-set J0 is already proving a useful tool in a much wide range of conditions. Not only will the Volvo Ocean Race crews now have a new sail to play with but they will also get better use of their existing arsenal. The masthead code 0 will be much more effective while the fractional code 0, which had a very narrow range in upwind conditions in the 2014-15 race, becomes a dedicated downwind sail. The current crop of Volvo Ocean Race sailors got their chance to put the new sail through its paces during Leg Zero, the four-stage qualifying series that included the iconic Fastnet offshore race. Early feedback from the teams has been overwhelmingly positive. Just like the rest of North Sails’ Volvo Ocean Race inventory, the cutting-edge J0 is made from its unique 3Di technology that pushes the boundaries of sail design. 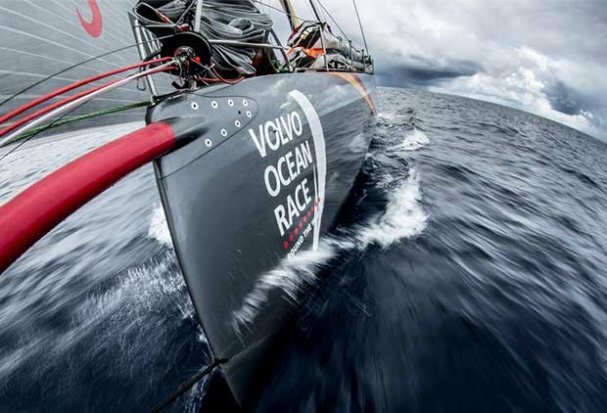 The patented technology, developed for the Volvo Ocean Race, uses tiny pre-impregnated filament tapes to mirror the load-bearing and shape-holding qualities of a rigid aerofoil wing while remaining lightweight and durable. 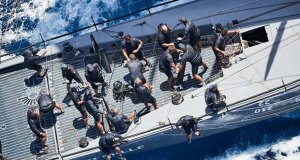 The Volvo Ocean Race begins in Alicante, Spain, on October 14, with the opening round of the In-Port Race Series before the fleet departs for Lisbon, Portugal, on the first of 11 offshore legs on October 22.